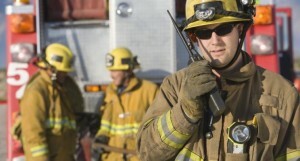 A Public Safety Communications System is a wireless communications system used by first-responder and emergency services personnel such as police, fire, emergency medical, homeland security, and disaster response agencies to prevent or respond to incidents or situations that pose a threat to people or property. An In-Building Public Safety Communication Booster System ensures that radio signals can penetrate all areas of buildings, including areas that are especially difficult for RF to penetrate such as stairwells, elevators, basements, and thick-walled or shielded areas. These requirements are mandated by the International Code Council Fire Code (IFC) Section 510 as well as the NFPA 72 and NFPA 1221. Local jurisdictions vary. Some adopt these model codes as written, some modify these model codes, and some areas have not yet adopted. Be sure to understand the local code requirements and permitting process during the design and budgeting phase of your project. For new construction or remodeling, failure to meet code could mean that a Certificate of Occupancy will not be issued. For existing buildings there is the risk of code violations that must be corrected. Build the appropriate timelines into your project plan. Ideally the required infrastructure such as pathways and conduits should be planned and installed before the walls and ceilings are closed up. Waiting until too late can significantly drive up costs. The cost of an In-Building Public Safety Communication Booster System is born by the building owner nearly 100% of the time. The rare exception is for public mega-venues where third party operators may deploy a public safety system in conjunction with a cellular repeater system. Work with experienced professional services and Integrators who have done recent In-Building Public Safety Communication Booster System work, preferably with references in the target jurisdiction. Today, so many calls originating within a building are made from mobile phones and not land lines. This includes calls to 911. This is particularly critical in common areas, stairways, parking garages, and basement areas. If cellular service is poor in any of these areas the 911 call may never be made. In campus environments like Education, Healthcare, or Corporate campuses, text-alert systems are common for crises and emergency management. Without adequate cellular coverage these outbound contacts fail. Cellular repeater systems use the same technology and supply ecosystem as In-Building Public Safety Communication Booster Systems. In most cases there can be significant cost savings realized by designing and installing these systems at the same time, potentially sharing common infrastructure such as pathways (penetrations, conduits, raceways), power, space, cooling, cabling, antennae, and even active components. Unlike sprinkler system or electrical codes, In-Building Public Safety Communication Booster Systems are relatively new requirements and much of the market and industry is navigating a steep learning curve. Make sure your requriements are clearly documented, and that pre-construction permitting procedures and documentation requirements are clearly defined and published. Otherwise, expect to field many phone calls to answer the same questions over and over again. Some agencies are staffed such that on-site inspections are feasible. Some jurisdictions prefer that the owner engage a qualified third-party professional services company to test and document system performance and compliance to code. Make your requirements known in advance. Make sure the requirements in your jurisdiction meet the need of ensuring critical communications without imposing unnecessary additional costs. The NFPA and ICC routinely engage experts from both the Fire Professional community as well as from the technical industry to continually adapt model codes that accomplish this balance. Groups like the Safer Buildings Coalition provide training, seminars, and other opportunities and context for engaging the In-Building Public Safety Communication Booster System supply ecosystem, and also to get the latest information about new and proposed fire codes as well as new FCC regulations and other requirements.